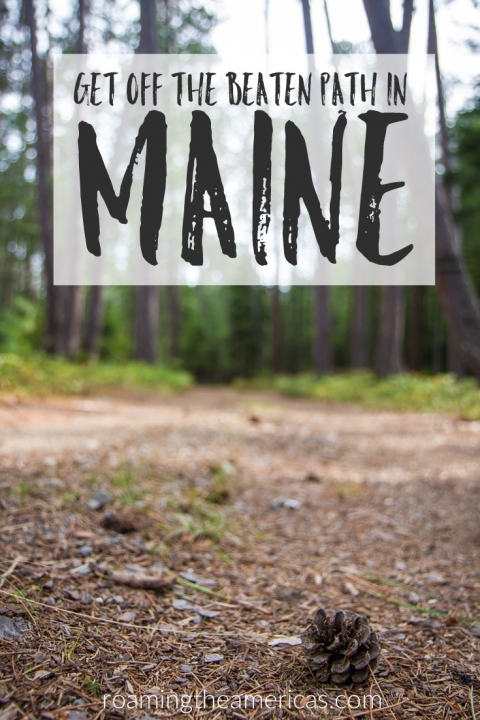 When I tell people that I grew up in Maine, I usually get one of two responses: “We went there on vacation once!” Or, “Oh, I’d LOVE to visit Maine!” There’s a reason Maine’s nickname is Vacationland–it’s an awesome place to visit. But the majority of visitors have experienced just one small slice of Maine life: its rocky coastline and quaint seaside towns. They never see what is, in my mind, quintessentially Maine. I grew up traipsing around the back woods of Maine. I learned to read our DeLorme Atlas practically by osmosis because it was simply how my family got around. It was always tucked away somewhere in our truck, torn and stained from frequent use. I think my dad refused to believe the popular Maine expression, “You can’t get there from here,” as we explored as many corners of the state as possible–hiking and camping in western Maine, searching for the best waterfall swimming holes, enjoying summer days at the lake, and otherwise living life in our rural town. So if you asked me for advice about places to visit in Maine, I’d offer a long list of spots far inland. Don’t get me wrong—Maine’s coast is stunning and well worth the visit. Its renown is well-deserved. But if you want to soak up the stillness found in the woods and mountains and enjoy nature without tripping over hordes of people, these 8 inland Maine destinations will make you forget all about that icy salt water and craggy shoreline. Oddly juxtaposed with a golf course on what is virtually an island (a peninsula with no public road access), Mount Kineo State Park sits on the water’s edge on Moosehead Lake. The mountain appears small in size, but its foreboding rocky ledges tower over the lake as you approach on the ferry, hinting at the steep climb ahead. For much of the hike, the sounds of Maine’s largest lake–rhythmic waves, motorboats, and float planes taking off–continue to remind you of where you are, even when you’ve lost sight of the water. When you reach the summit, you may momentarily regret the decision to climb the fire tower’s precarious stairs, but if you hold on tight to the railings and move quickly, you’ll be rewarded with 360-degree views of unspoiled Maine beauty. If you want to head inland but still crave thrashing waves, whitewater rafting on the Kennebec River is the perfect way to spend a day in western Maine. The top section of the river is a thrilling ride for any adventure seeker, and the bottom section offers fun for the less intrepid. Instead of the steady rhythm of ocean waves, the white water rapids toss your boat as they wish. As you make your way through a rocky gorge flanked by pine trees, don’t get too distracted by the scenery, or you may end up swimming through Class III and IV rapids. Trust the guide, dig your paddle in hard, and enjoy the unpredictable ride. 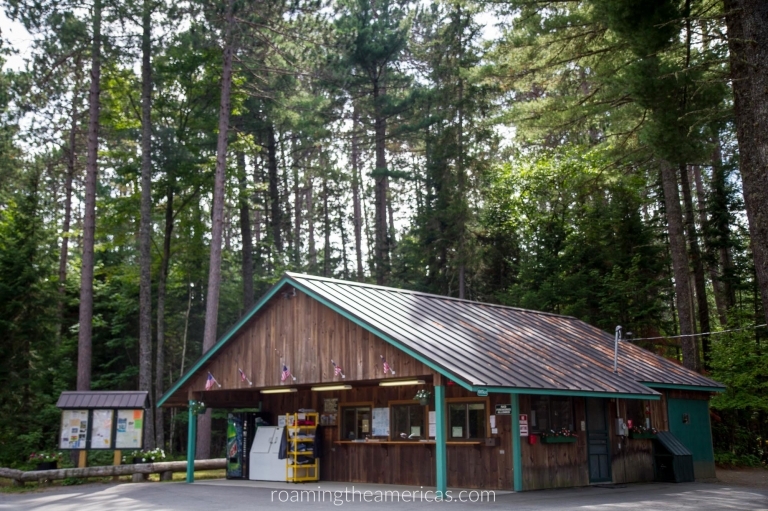 The momma of all waterfalls in Maine, Moxie is a must-do after a day of rafting the Kennebec. The trail to Moxie Falls is fairly easy, but it will make you feel like you’re deep in the woods, surrounded only by nature. Because, well, you are. 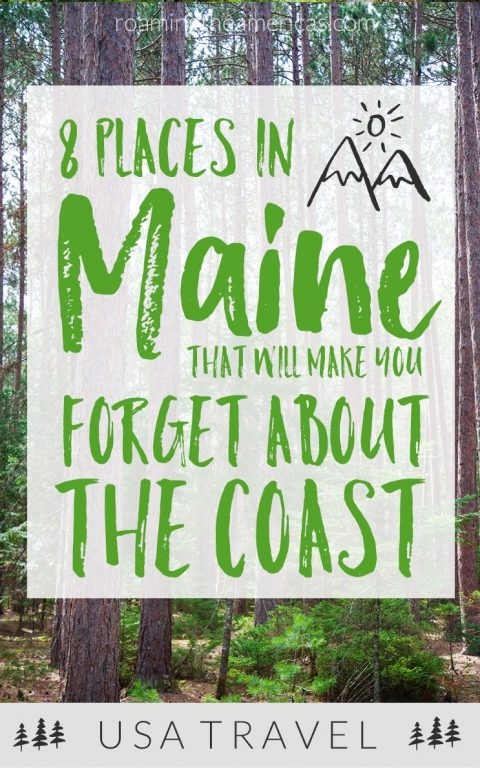 And that’s the beauty of getting away from the tourist traps on the coast–you’ll see Maine’s beauty in its natural state, away from the crowds. Like these Maine travel ideas? Pin this post to your travel board on Pinterest to keep it bookmarked! One thing you should know about western Maine is that there are no highways. What many “outta-statah’s” would consider back roads are simply roads to Mainers–roads that they’re not afraid to drive down at 60 miles per hour, passing logging trucks as they keep an eye out for moose. But the best part of some of western Maine’s roads? It’s the way they meander along rivers and streams, begging you to pull over and jump into the first swimming hole you see. 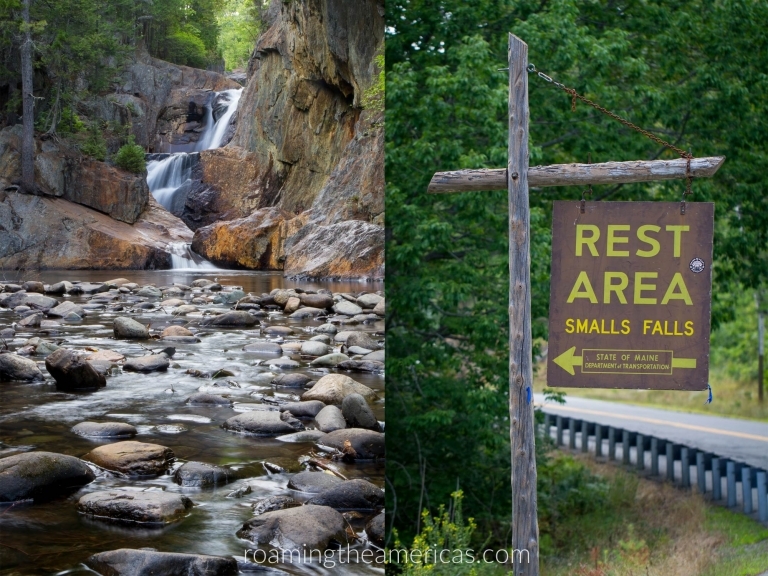 Luckily for everyone, there’s an actual rest stop with a picnic area and easy waterfall access. Grab your bathing suit, fill your cooler, and head to Smalls Falls to spend a day enjoying one of the best swimming holes, natural water slides, and cliff jumping spots in Maine. A list of western Maine’s incredible beauty wouldn’t be complete without mentioning its highest peak. When you see Mount Katahdin in person, you’ll understand why the Penobscot Indians gave it a name that means the greatest mountain. There are various trails and several peaks, as well as remote campsites throughout Baxter State Park. This is one spot on the list that is both well-known and well-traveled, but the crowds are somewhat restricted by limited day parking. Make sure you plan ahead and reserve a parking spot online well in advance. Mount Katahdin getting ready for another day. 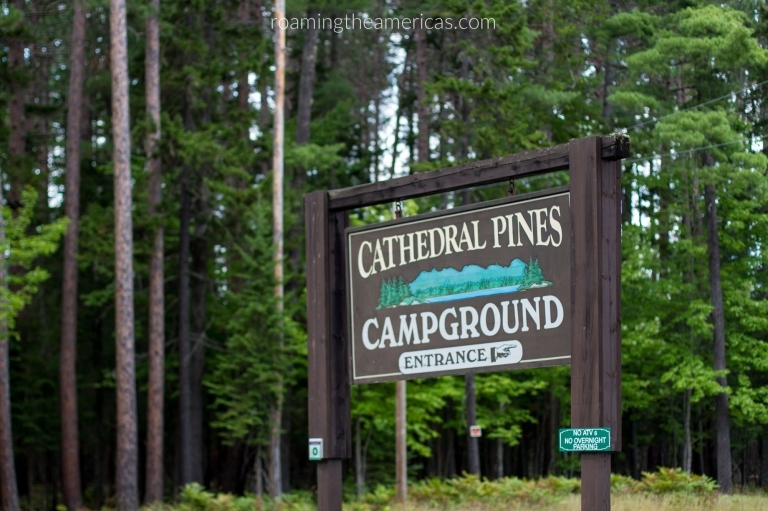 Cathedral Pines is the campground by which I measure all other campgrounds. 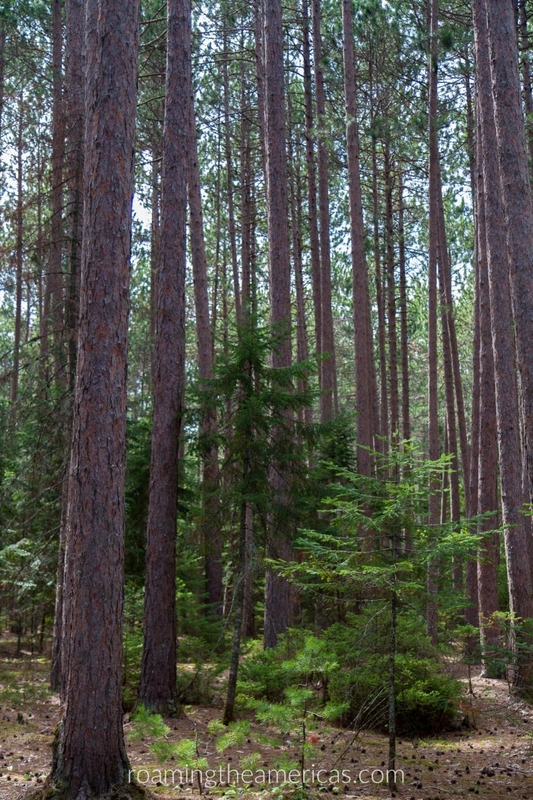 As the name implies, it’s built in a forest of towering pines that create a beautiful canopy overhead. 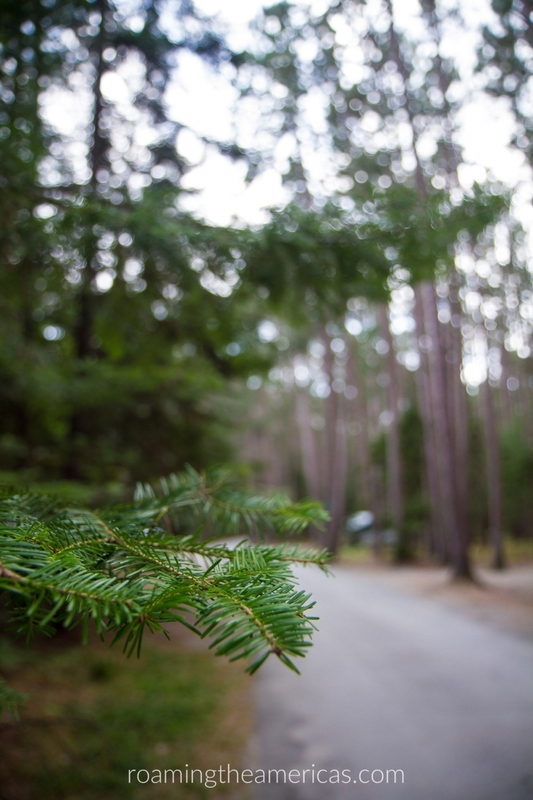 Some birch and other trees are scattered underneath, but the only trees you’ll notice are the red pines, which make the campsites feel both spacious and private. 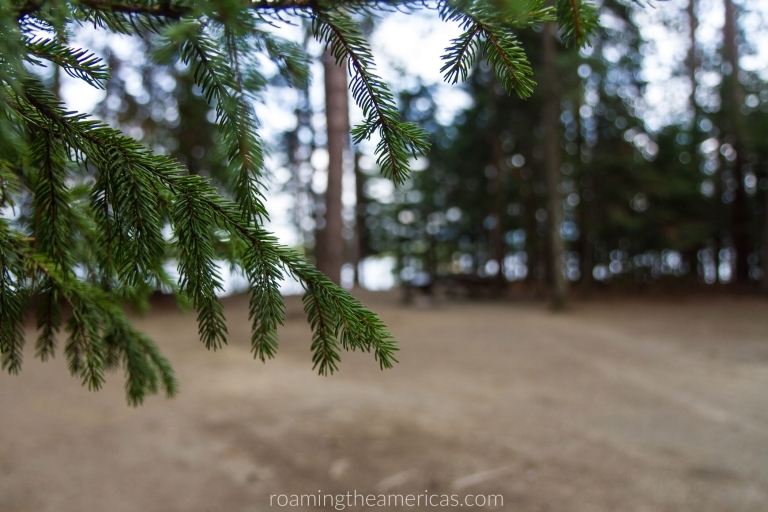 The best campsites are on the waterfront where you can enjoy the call of loons as you go to sleep and the stillness of the lake in the morning as you sip your camp coffee. Cool off with a swim in the lake, ride your bike around the grounds all day, relax in a hammock with a book, go moose watching at dusk, or take a day hiking trip in the nearby Bigelow range. Maine summers aren’t complete without heading “upta camp.” Translation: going to a cabin on a lake. Just don’t actually call it a cabin. Or–please–a summer home. They will send you back to the coast if you ask about a summer home. If you can’t find a family who will adopt you and invite you to their camp, you can still get a taste of lake life by going camping or just heading to the beach for the day. Days at the lake are simple, spent listening to the splashes of cannonballs and screams of kids pushing each other off the dock, the echoes of loon calls floating across the water, and motor boats buzzing around all day. It’s the stuff Maine summers are made of. Which of these off-the-beaten-path places in Maine would you most like to visit? Let me know in the comments! Hover over the image to pin it for later!